Suppose U Drive’s Roadside Assistance service guarantees timely aid to customers caught in a bind. When you’re out on the road trying to get the job done, that last thing you want is to be delayed by unreliable equipment. When a truck breaks down, it can put you and your crew out of business for hours at a time. Not to mention it can lead to significant delays for your customers and lost revenue for your company. Here at Suppose U Drive, we know people are relying on you to meet your deadlines and arrive right on time to everything you have scheduled. That’s why we want you to be able to rely on us with equipment that you can depend on to get you from Point A to Point B, and every stop in between. 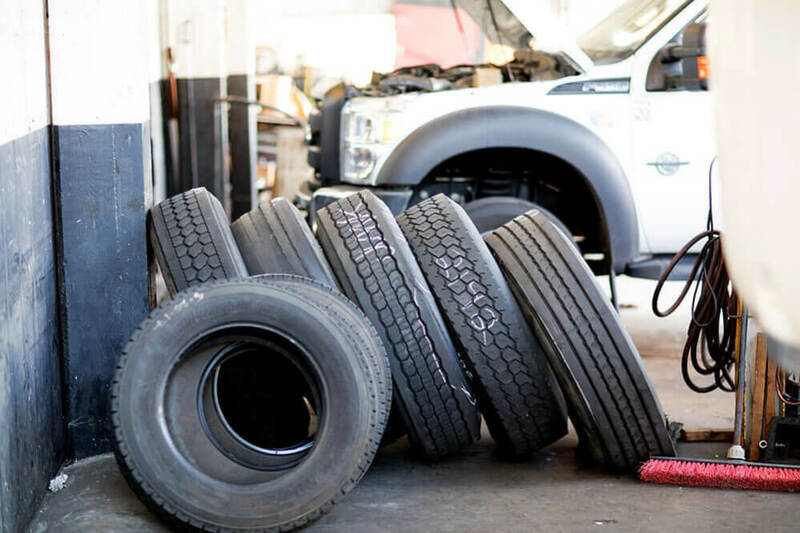 We pride ourselves on our extremely detailed check-ups and maintenance work that help keep every truck on the road longer. But, the unpredictable does happen, and we do our part by offering a guarantee to backup our equipment. Our service is second-to-none. When you rent with us, you can drive off the lot confident with your equipment. If something breaks down, you’ll also be given a 24/7 direct hotline that you can call anytime for immediate roadside assistance. 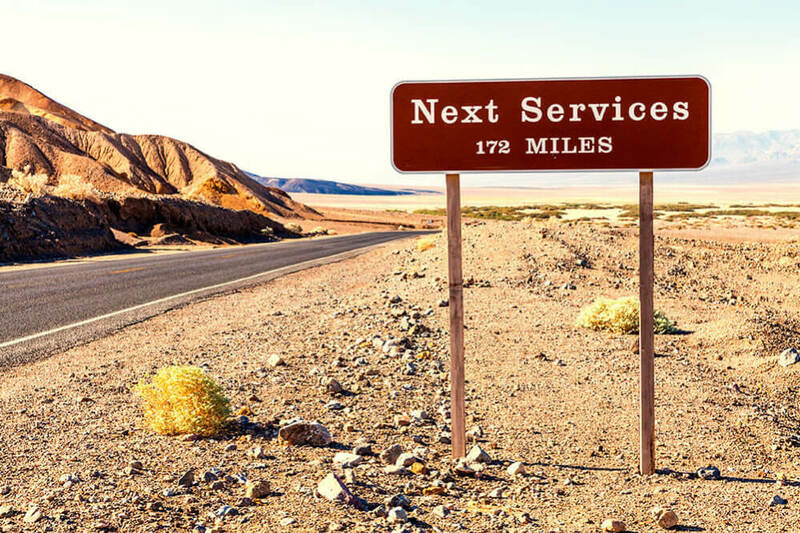 Our roadside service accompanies every lease and rental vehicle on the lot. The number you will be given can be called any time, day or night, to help you get back to work quicker. We’ll dispatch our professional teams to your location and get you back on the road or towed away as quickly as possible. 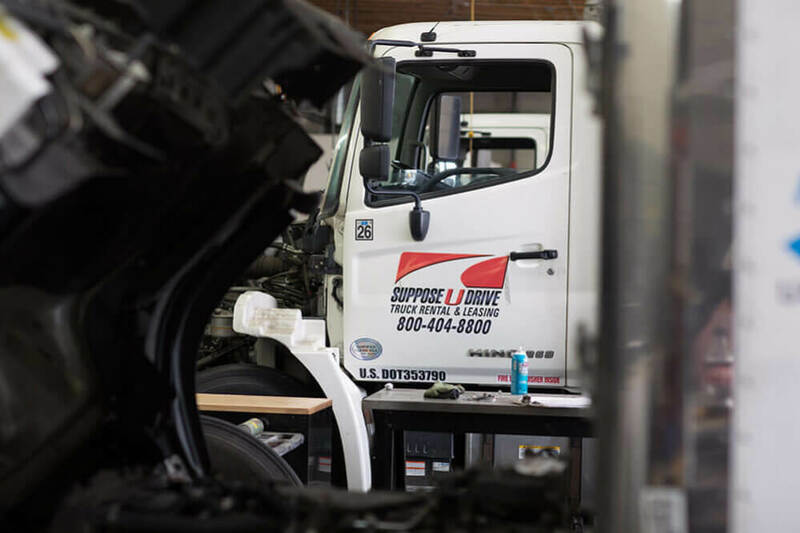 If your truck is going to be down for a while due to a mechanical issue, we’ll give you a replacement vehicle so that your business’ productivity doesn’t suffer. We can also send out our teams in the event of an accident or mishap. Just give us a call and our friendly technicians will be on their way to assist you. Free Replacement Vehicle: Sometimes, equipment simply breaks down. If it happens to you, don’t fret about it. We’ll scour our inventory and locate a replacement vehicle to fit your needs. 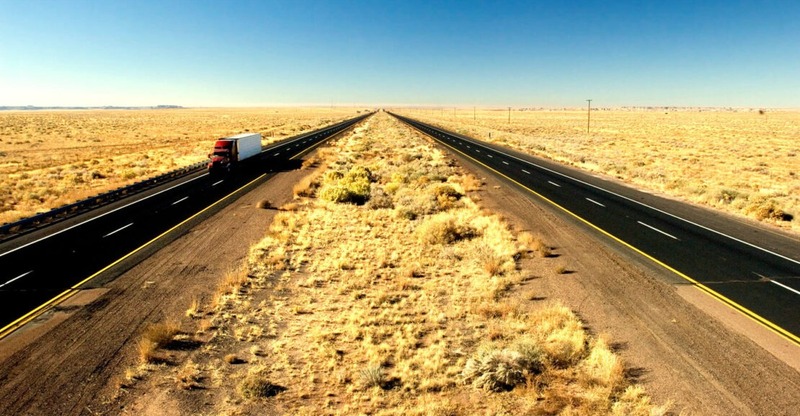 We’ll provide it to you free-of-charge to make sure you can get back on the road fast, without experiencing any downtime or lost revenue for your business. Emergency Assistance: Had an accident? It happens to the best of us. Give our hotline a call and we can get out there fast to help take care of you and your crew and get you back safely. We also have an easy-to-download accident report form on our website that you can fill out in a matter of minutes. Helpful Mechanics: Does something seem to be off with your vehicle but you aren’t sure what it is? Bring it back to our lot where our friendly mechanics will be able to diagnose the problem quickly and fix it fast. If it will take a while to finish it right, we’ll match you with a replacement vehicle that you can drive off the lot without any delay. We know that presentation is the best medicine, and that saying applies to everything–especially when it comes to a truck rental company. 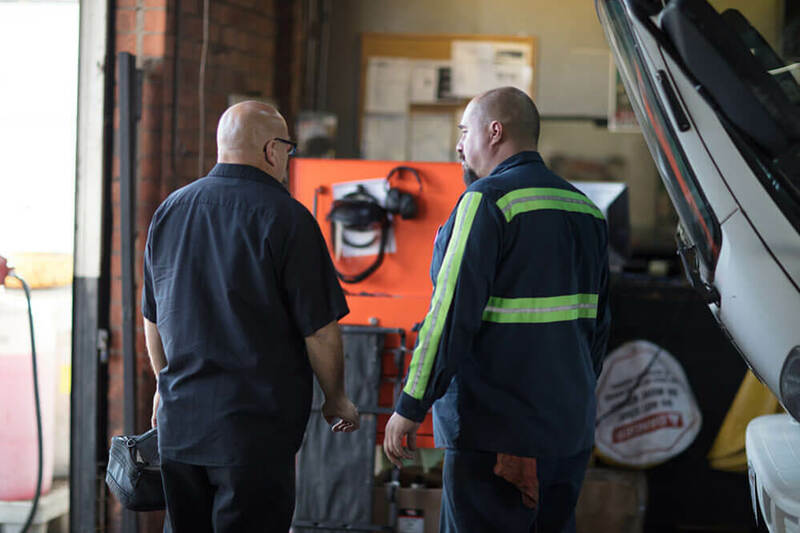 Unlike the other guys who run their equipment non-stop, around-the-clock, we take great care in making sure every vehicle on our lot is properly maintained and well taken care of. Every time a vehicle is returned to our lot, we put it through a strenuous quality check to look for any potential mechanical issues and help protect against wear and tear. We handle all replacements and repairs before ever parking the vehicle back on the lot. Plus, because we know you want to get to work fast, we’re able to offer the fastest check-out time in the industry thanks to our proactive pre-fueling and pre-washing process. After a complete maintenance check, we’ll wash and fill up the tank of each vehicle to be certain that every vehicle parked on the lot is ready to go when you are. You’ll also feel confident knowing that we auction off every vehicle after a long job and replace it to ensure our rental customers are only getting the latest, newest, and most dependable equipment available. All of this behind-the-scenes work is just part of our core mission to put customer safety and satisfaction above everything else. We believe that the employees-first approach is critical to the long-term success of our business. We also believe it’s critical to being able to offer consistently high-quality service to our customers. By focusing on the culture within our company and ensuring that every team member has the skills, knowledge, and resources they need to excel in their position, we know that this will turn into confidence, security, and a trustworthy worker. Ready When You Are: All of the vehicles on our lot are “ready when you are” thanks to our comprehensive quality checks that are completed each time a vehicle is brought back in, and our pre-washing and pre-fueling process that will get you checked out and on the road quicker than any one of our competitors. Three Locations: We’re exactly where you need us thanks to our three locations across the region. Every location features fuel tanks and shop bays, allowing us to offer complete, high-quality service no matter which location happens to be most convenient for you. More Than 800 Options: Suppose U Drive houses more than 800 trucks across our three convenient locations, which means you will most certainly be able to locate a dependable vehicle that fits your business’ needs. If you aren’t sure what you need, our friendly staff can help you choose a vehicle that will suit your project best. Second-To-None: We don’t just offer the fastest check-out times in the industry, we are second-to-none across the board. Reliability? Check. Friendly staff? Check. Knowledgeable techs? Check. Flexible, community-driven approach? Check! When you work with Suppose U Drive, you’ll be able to see the difference at every turn. A Family of Services: We’re not just a three generation, family-owned company. In the more than 80 years we have been serving the area, we have learned that making our employees feel like they’re part of our family is also important. That’s what we strive to do at each of our locations, and we also extend this warm welcome to all of our customers–new and old. Decades of Knowledge: There’s a reason why Suppose U Drive has stuck around since 1936 through war, recessions, and troubling times. It’s because our adaptive, flexible, and innovative services set us apart from the rest. We’re a step above the rest, and we strive each day to keep climbing. Community Support: Suppose U Drive believes that, as we grow, we should help the community thrive and grow alongside us. Through outreach programs, charitable contributions, and just being adaptive to our local businesses’ needs, we’re able to help support the individuals in our community in a way that allows all of us to move forward, together. Our team members are like one big family. As a customer, you’re bound to notice the bright smiles, the super helpful employees, and the general feeling of cheer every time you step on to one of our lots. This service quality is representative of the overall quality we offer through every aspect of what we do, whether you’re renting, leasing, or taking advantage of one of our vehicle maintenance plans. Does your business need a truck or van to enhance your operations? Don’t settle for anything less than caring, friendly, and high-quality service. Stop by any one of our three lots and see why Suppose U Drive is different. We set the standard for truck rental companies in the area, and we know you’ll appreciate our family-owned, customer-focused approach. We’re flexible enough to meet the needs of any growing business, and we’ll work with you to help find the perfect vehicle for your next project. You can also view our inventory online ahead of time to know what you’re after. When you work with Suppose U Drive, you’ll have the confidence and reassurance of knowing that a team of friendly and knowledgeable professionals are on your side. Ask us any question you have. Our friendly and knowledgeable staff can help answer them to guide you to the right vehicle. We don’t try to up-sell you to features you don’t need. Our goal is to find an option that best suits your needs without breaking the bank. Tell us about your business. We want to be here to serve you for the long-term. Let us know your business’ clientele, service area, crew size, and general goals. It will help us tailor a solution to fit your needs. Remember, as a family-owned business, we’re flexible and we’re able to adapt to fit any growing business. Need more than one? We can come up with a custom plan to fit your business’ growing and changing needs, whether you need one truck or ten. How long? We’re also able to custom tailor a plan dependent on how long you’ll need your equipment. We offer both short-term rentals and long-term leases that will grow with your business–even if you need it for an hour or an entire year! If your business picks up or slows down when you least expect it, we’ll be there. Trust us. Every vehicle is backed with our satisfaction guarantee and our free Roadside Assistance hotline. When you need help, we’ll be there to lend a hand whether that’s by dispatching a repair team, providing a replacement vehicle, or helping you with an accident report. Have questions? Give us a call today.